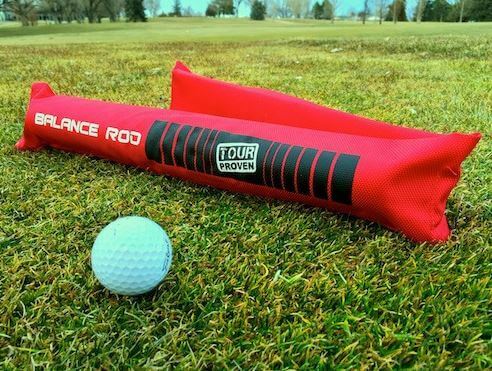 The Balance Rod will let you know if you are setup, swinging, or making a stroke in balance. 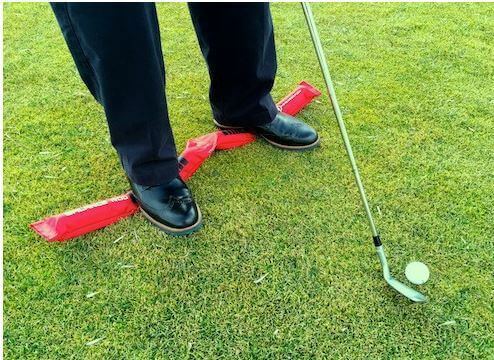 Balance… the key to all things good in Golf. Stand on the rod and your toes and heels will be barely on the ground. Move to your toes or heels and the rod will magnify your movement. Your brain adjusts instantly and you will be rock solid. The EyeLine Balance Rod makes it a little more difficult to stay in balance. Our body works very quickly to adjust. Within a few swings, without thinking, you will know your weakness and refine your balance. When you remove the Balance Rod, you feel more balanced and grounded than ever. Your body has learned to fine-tune itself to give you perfect balance.